Medal of Honor winner Col. Robert L. Howard passed away yesterday in Waco, Texas. Prior to his death, historians believed Howard was the most highly-decorated then-living American soldier. He was part of the Army Special Forces and ran cross-border operations in Laos, Cambodia and North Vietnam. He was wounded 14 times in Vietnam and was awarded eight Purple Hearts. He was nominated three separate times for the Medal of Honor, finally receiving the nation’s highest award in 1971. President Richard M. Nixon presented him with the honor for his bravery in Vietnam during a mission to rescue a missing soldier in enemy territory. 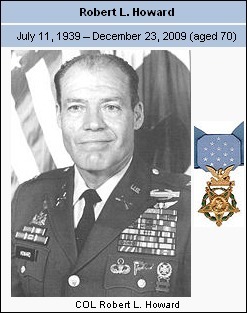 In addition to the MOH, Col. Howard held the following major decorations: Distinguished Service Cross (with one oak leaf cluster); Silver Star; Defense Superior Service Medal; Legion of Merit (with three oak leaf clusters); Bronze Star (with three oak leaf clusters and “V” device); Purple Heart (multiple with a silver and two bronze oak leaf clusters); Meritorious Service Medal (with two oak leaf clusters); Air Medal (with “V” Device and numeral 3. One award for heroism and two for aerial achievement); Joint Service Commendation; Army Commendation Medal (with “V” device and one each silver and bronze oak leaf clusters. 4 awards for valor and 3 for achievement); Presidential Unit Citation (for Studies and Observations Group–SOG). Howard also held many other U.S. service medals and Foreign Decorations, including the Vietnamese Cross of Gallantry (with Gold, Silver, and Bronze citations). 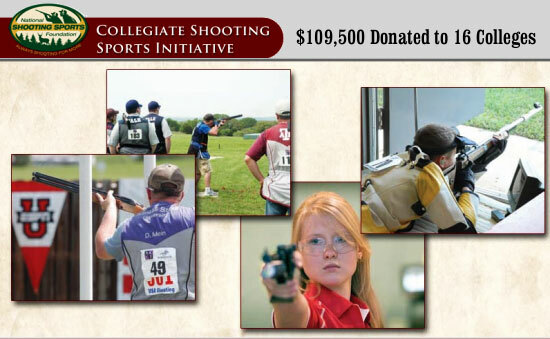 After retiring from the Army, Col. Howard spent much of his free time working with veterans. He also took periodic trips to Iraq to visit active duty troops. Howard died of pancreatic cancer at a hospice in Waco, Texas on December 23, 2009. CLICK HERE to learn more about Col. Howard and to read his Medal of Honor citation. As a staff sergeant of the highly-classified Military Assistance Command, Vietnam – Studies and Observations Group (MACV-SOG), Howard was recommended for the Medal of Honor on three separate occasions during thirteen months spanning 1967–1968. The first two nominations were downgraded to the award of the Distinguished Service Cross due to the covert nature of the operations in which Howard participated. Share the post "MOH Winner, Most-Decorated Soldier Passes"
Ed’s Public Safety, a gunshop in Georgia, has published photos of the New “Gen 4″ Glock handguns. The much-ballyhooed design changes for the Gen 4 Glocks are interesting, but hardly revolutionary. 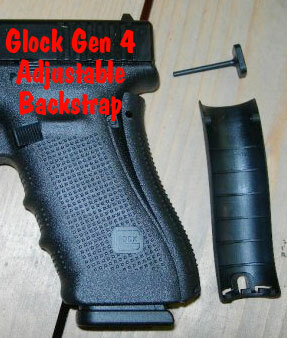 As expected, the new Glocks will have interchangeable backstraps. That’s probably a good thing. 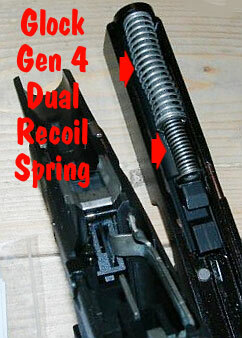 Other noteworthy changes in the Gen 4 Glocks are a dual recoil spring, and an interchangeable magazine release that can be moved from right to left. 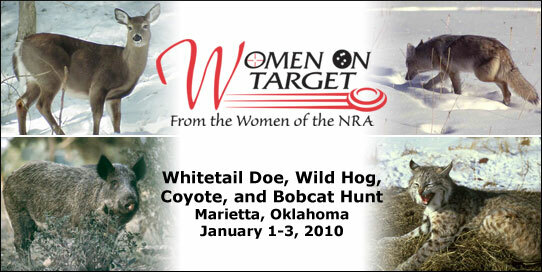 The dual spring is a more modern design that may reduce perceived recoil somewhat. The mag release change is smart and makes the gun more user-friendly for southpaws. Glock is making new magazines for the Gen 4 Glocks that work with the interchangeable mag release. Older magazines can still be used with the new Gen 4 Glocks, but only when the mag release button is positioned on the left. Design Change — Too Little, Too Late? Unfortunately, with either of the two provided backstraps, Glock’s Gen 4 grip is still fat and blocky compared to many other pistols. 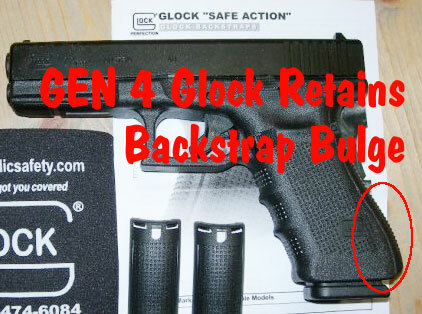 Also the Gen 4 Glocks retain the prominent “backstrap bulge” or flare in the bottom 1/3 of the grip’s back edge. For many shooters this “Glock bulge” causes the gun to point poorly, and for this Editor, that bulge also causes the gun to twist more on recoil (since it pushes against one side of the base of the shooting hand). The first thing done by companies that modify Glock grips is to reduce the flare or bulge in the bottom of the grip. That makes the grip much more user-friendly for smaller hands. 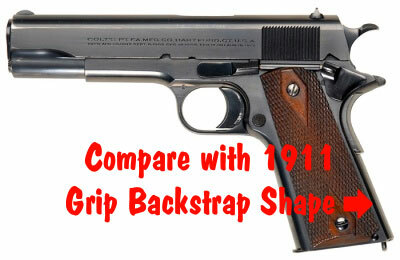 In this Editor’s opinion the bottom rear section of the Glock grip was an ergonomic mistake when it came out in 1982 and the Gen 4 redesign really does nothing to correct the flaw. The interchangeable backstraps are just a poor “band-aid fix” when a more fundamental redesign was needed. Overall, we think that most of the Gen 4 design changes are positive, or at worst “neutral”, but this may be a case of “too little, too late”. 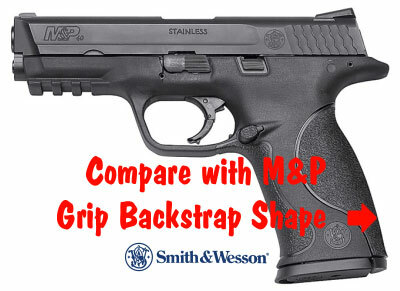 We doubt if the redesigned Glock is sufficiently improved to grab much market share back from the Smith & Wesson M&P series and other handguns whose sales have cut into Glock’s lucrative police contracts and civilian sales. The Gen 4 Glocks offer a modest ergonomic improvement over previous models, but they still not as well-designed ergonomically as Smith’s M&P. We doubt that police agencies which have switched to M&Ps will find reason to go back to Glocks anytime soon — unless, of course, Glock radically drops its prices, which is unlikely. Share the post "Photos of Gen 4 Glocks Reveal Notable Changes"